As Google readies to roll out its new Android operating system, Android 3.0, a.k.a. Honeycomb, they've prepped the world with a sneak peek of their logo. 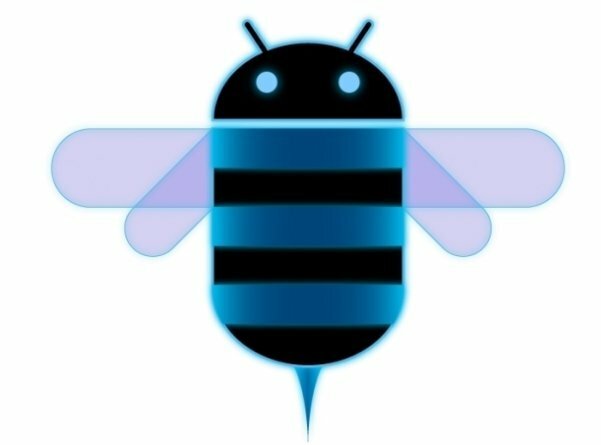 With a name like Honeycomb, it's no surprise that the logo features a big blue bee for Android 3.0. The system is expected to integrate Google Talk for voice and video chat, as well as improvements to web browsing, access to Google Maps 3D and other little updates that will make the OS run more smoothly. When can we expect to see Android 3.0? As the AP reported, "In a post Wednesday on Google's Android Developers blog, Xavier Ducrohet, the Android SDK tech lead, said a final version of the kit will be available 'in the weeks ahead.' That will enable developers to publish Honeycomb applications to Google's Android Market app store." Check out the new logo below, then get sneak peek at the new operating system here.